Two years ago, Barcelona, Bayern Munich, and Tottenham Hotspur were interested in acquiring Joaquin Ardaiz. 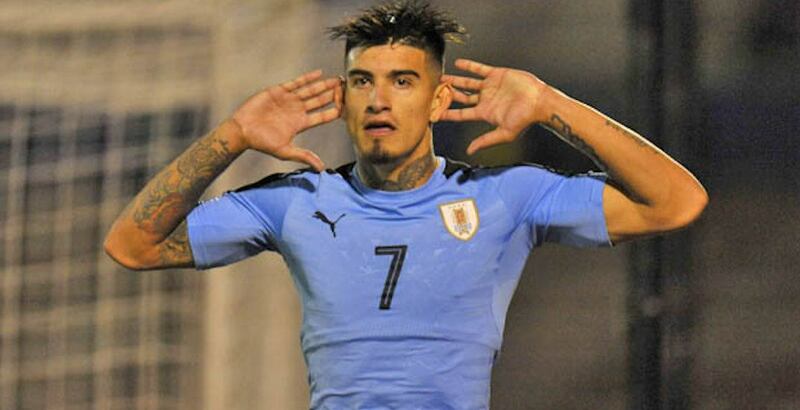 Manchester City and Liverpool have also been linked to the Uruguayan striker. Chelsea was once set to sign the South American. The fee then was £25m. We’ll assume the price was considerably less than that, but the Vancouver Whitecaps announced the signing of Ardaiz on Friday, who is an intriguing talent to say the least. The 20-year-old was acquired as a Young Designated Player on a year-long loan, with an option to purchase, from Swiss League club FC Chiasso. Internationally, Ardaiz represented Uruguay at the 2017 FIFA U-20 World Cup, and scored two goals in the 2017 South American U-20 Championship. The 6-foot-1 striker has experience playing at top division clubs in Uruguay, Belgium, and Italy. He was nominated for Tuttosport’s 2018 Golden Boy award for the best U-21 player at a European club after scoring five goals as an 18-year-old with Belgium’s Royal Antwerp FC. Ardaiz most recently had a short loan spell at Italian Serie A club Frosinone Calcio, making one appearance. "He's a player with an incredible upside." It took some time, but Dos Santos has finally put together the pieces for a remodelled team with some potential this season. The Whitecaps also announced the signing of Argentinian Erik Godoy, a 25-year-old centre back, on Friday. Godoy joins the club on a one-year loan with an option to purchase from Atletico Colon in Argentina. Ardaiz and Godoy fill a couple of positions where the Whitecaps were in need. The Whitecaps also added 21-year-old centre back Jasser Khmiri, who excelled with the Tunisian U-21 national team. The rumour mill continues to churn as the Whitecaps inch closer to the first game of the season on March 2. The latest intriguing storyline includes a potential return to Vancouver for former Whitecaps striker Fredy Montero.